#BeardWatch2016 Begins | What's Up, Ya Sieve? Pre-game video that makes you question loyalties. Did anyone know about this? I’m glad you didn’t warn me. #TeamEbs turning up in November looking like he might if the Oilers ever made the playoffs is a revolution. He missed the first 13 games with a shoulder injury sustained on September 29. He obviously spent this time very, very well. Post-game, the beard was still there. Thank heaven, because if I were going to hallucinate something, it would definitely look like this. The Oilers locker room has really nice lighting, no? Post-game video that needs a hug. 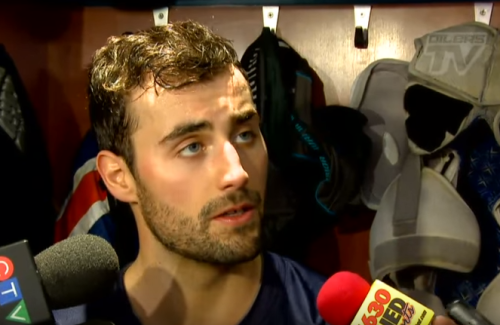 Bonus: Jordan Eberle Halloween commercial. 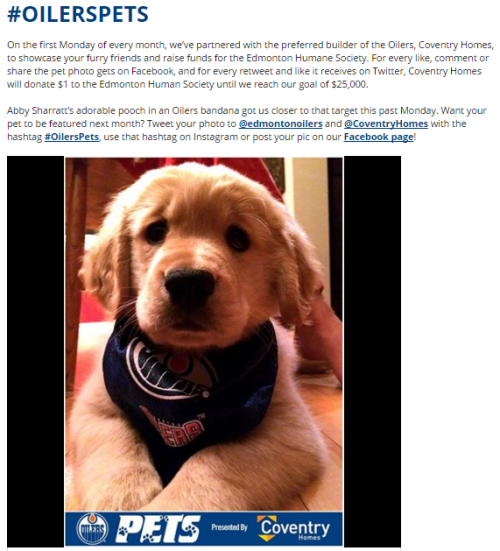 Oilers side note: The PUPPIES have a social media campaign about PUPPIES. Okay, other animals are eligible but they are clearly reading @alisonsykora‘s Tweets. Since it’s Monday, and Jordan Eberle & Mike Green train together in the off-season [What is this machine and how do I get a job making sure they use it properly? ], I feel compelled to report that this is still amazing. Post-game video that is now wash-and-go. Ugh, Capitals. You will never be the same. Yup. Everyone is demanding Aaron Ekblad be carbon-dated to prove his age. Which is 19, I’m probably legally required to remind you. Thanks to @ErinMiHaley for this one. 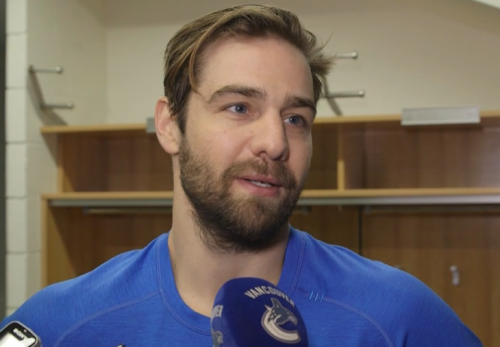 I’d be remiss if I didn’t include Chris Higgins in the beard post. He is just back from a foot injury and, well, you can’t flash your abs on every play. Post-game video that hates losing with :16 left. Last, but not least, nothing has changed for our favorite Gingerbeard down in Nashville: still rocking the scruff, still getting into trouble. To me it’s clean enough, though awkward and ill-timed. From another player, I don’t know that this hit would be a conversation piece. At least Nashville seems to have had the sense not to let James speak to media post-game. 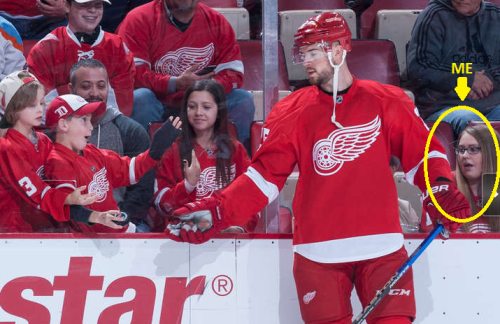 Zach is week-to-week, after scoring 7 G in 12 games, so we hope he’s back on the ice soon. Who else is sporting an excellent early-season pelt? Send them my way before they shave down to 1970’s cop-style Movember ‘staches. 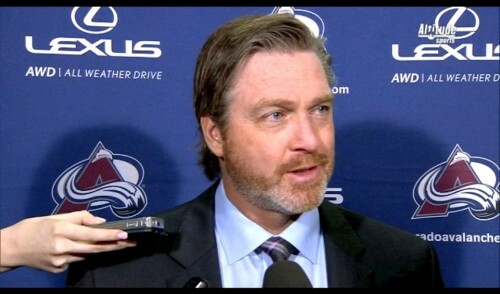 UPDATE: Patrick Roy’s beard is perfect. For every time you just want to lose your $%&@ and scream at someone, think of this and feel zen. I’m sorry, but 19 year-olds did not look like that when I was 19…. No, no they did not. And I think there is something very wrong with that. 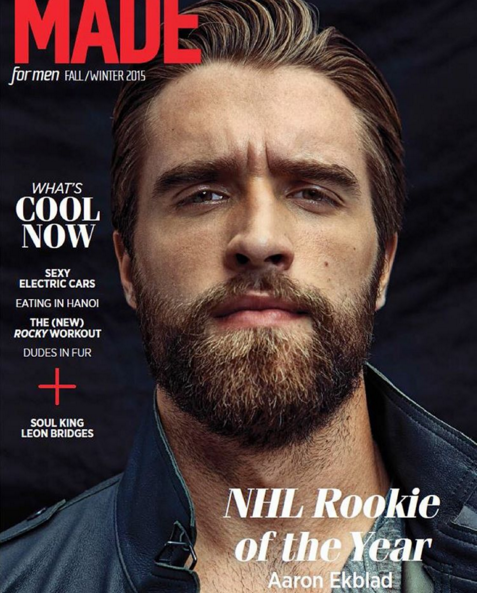 Thank you — I needed that picture of Aaron Ekblad today. 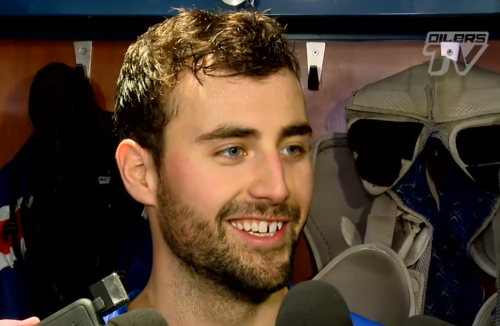 An excellent early season pelt is being worn by Derick Brassard of the Rangers. He’s French Canadian so video of him speaking French should help you get past the fact that he’s a Ranger. It’s impossible to resist a French accent. Dear lord, did I need this today. You are an angel sent by the hockey gods. 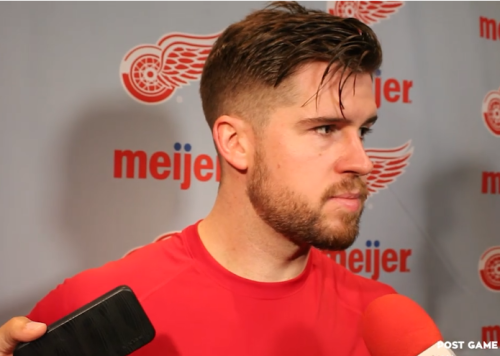 And the things that photo is making me think about Aaron Ekblad are going to send me straight to hell. Won’t you all join me for cocktails? Good lord, Jordan needs to tell us what highlighter product he’s using on his cheeks. Cream blush? Illuminator? Simply the healthy glow of an athlete who drinks a gallon of milk a day? I’ll take it all. Have you seen the NHL Movember ad spot? With the Professor selling the spiel? I DEMAND a post on this subject!! (bonus: cheesy 70s music). Chuck will bear me out here! I’ll even write it goddamit: it’s glorious. Made me want to grow a moustache and I’m a girl. I’m leaving this one to Chuck. Posts about The Professor are always in her dance space. Hi, long time lurker, first time commenter here. As much as I enjoy seeing the young studly studs sport their facial ornaments, I’d like to give a shout-out to an elder statesman, Patrick Roy. I find his salt-and-ginger beard perfectly regal. Excellent recommendation, I’m adding him to the post!